Kryptonian Warrior: Avengers: Age Of Ultron - First Official Mega Poster! Avengers: Age Of Ultron - First Official Mega Poster! This week during the San Diego Comic Con there have been multiple character posters released by Marvel featuring each member of the Avengers from the upcoming sequel "Age of Ultron" forming pieces of a larger puzzle. 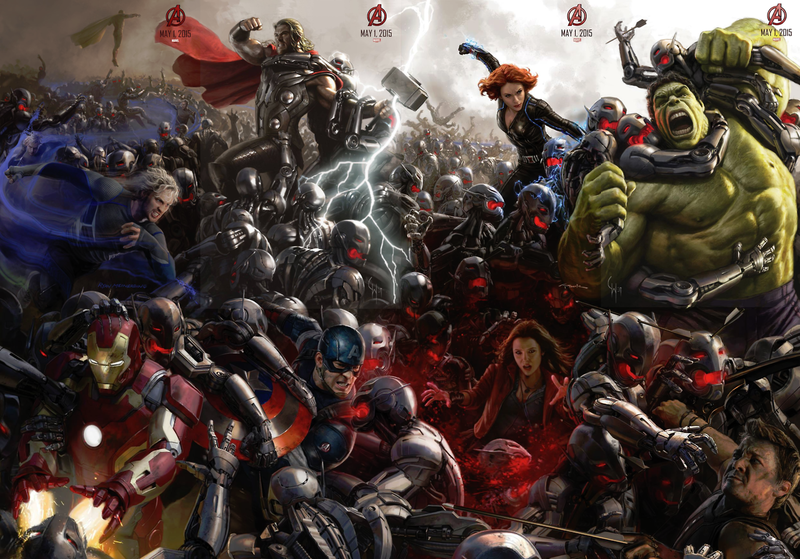 Below you'll find the final amalgamated image with all the puzzle pieces put together to form one epic battle pic with one of the most exciting things being the tiny teaser image of The Vision (Paul Bettany) in the top left corner with Quicksilver hovering above the Ultron drones looking (so far) like the Vision we know and love from the comics. Seriously can't wait for this, my most anticipated movie of 2015!